Works to prevent tooth decay and reduces the risk of enamel lesions. 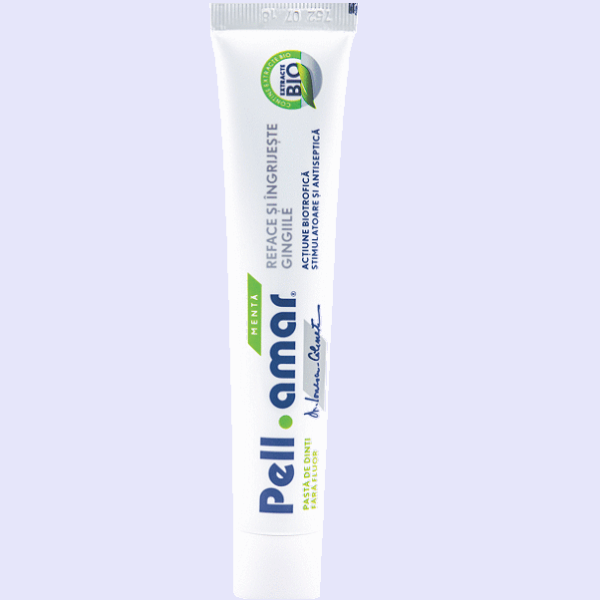 It has bacteriostatic action and demineralises the teeth whilst freshening breath. SORBITOL, AQUA, GLYCEROL, HYDRATED SILICA, CHAMOMILLA RECUTITA EXTRACT, SODIUM LAURYL SULFATE, PELL AMAR EXTRACT, XANTAN GUM, DISODIUM PHOSPHATE, SODIUM SACCHARIN, SODIUM BENZOATE, MENTHA PIPERITA OIL, C177891. Good product. I’ll use this paste for now on. A good product that uses it every day. 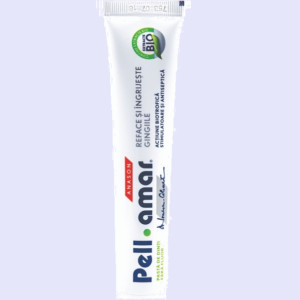 The product I love and feel my teeth clean for a long time.